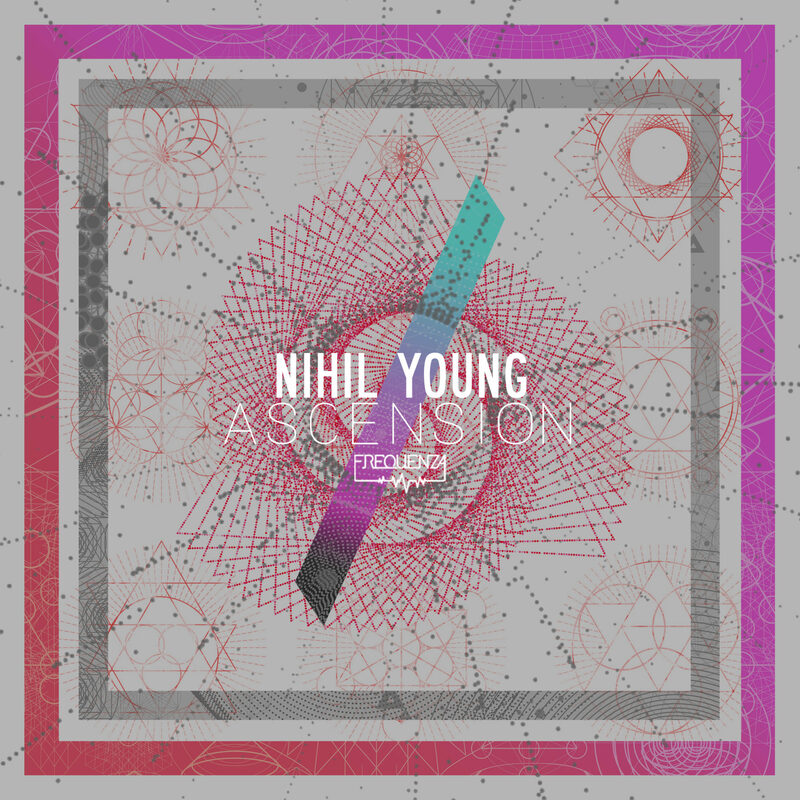 One of Italy’s most innovative electronic music producers, Nihil Young, kicks off Frequenza’s 2019 with a bang, unleashing two stunning new creations ‘Ascension’ and ’She’. ‘Ascension’ is a tense cinematic outing, where pulsating hooks ride over a dark effervescent undertow that organically mutates, giving way to a dramatic breakdown where anatomical synth stabs pirouette over tension filled sirens offset by elegant, melodic chimes. ’She’, as the title denotes, is gloriously feminine and primed with sublime sonic details. Airy syntholgy and hypnotic pads ebb and flow, underpinned by a warm bass growl that gives way to 2 emotive breakdowns where pretty melodies resonate over ethereal synthcapes before exploding back into the growl. Nihil Young aka Less Hate, is a polyhedric artist, producer, remixer and DJ, considered a trendsetter by many and a prominent name in the international underground electronic music scene. He is the founder and curator of acclaimed Italian record labels Frequenza and Frequenza Black (Est 2009), featuring releases from artists such as Kostas Maskalides, Christian Schwarz, Louie Fernandez, Kellerkind, Teenage Mutants, David Herrero, Talal and more, alongside his own productions. He also designs all his own sleeve art for the labels. Nihil Young boasts a strong discography with releases and remixes gracing labels such as Toolroom, Ultra, KMS, Gem Records, Planet E Communication, Poesie Musik and Kindisch, and collaborations with / remixes for / from internationally acclaimed artists like John Acquaviva, Kevin Saunderson, Dennis Ferrer, Gary Beck, Stefano Noferini, Etienne De Crecy, and Dr. Motte, to name a few. Nihil’s productions have won the support and recognition by some of the worlds key electronic music panorama including Stephan Bodzin, Mark Knight, Sasha, Hot Since 82, Umek, Black Coffee and many others. Nihil Young’s recent single “Align” on Mike Mago’s Bmkltsch Rcrds, just surpassed 1 million streams on Spotify and his latest productions are regularly released on labels like Toolroom and KMS Records, with his recent Toolroom single Opal climbing the Beatport and Traxsource top 100 charts.